Patience and Min tagged along on a Saturday morning visit to the Horticultural Centre of the Pacific. and were happy to help the human polish off a delicious pancake brunch, washed down with English tea. Beautiful! I wish I had such a garden. I try, but it’s the same in spirit only, I’m afraid. That cup of tea looked really good! Sounds like a great time was had by all. Good for you!! The tea was good, the pancakes were delicious, and the company was excellent! The QHs lead a delightful life…nature, color, textiles, color, art, cultures, TEA! It’s always a delight to read of the happenings there in your lovely area. 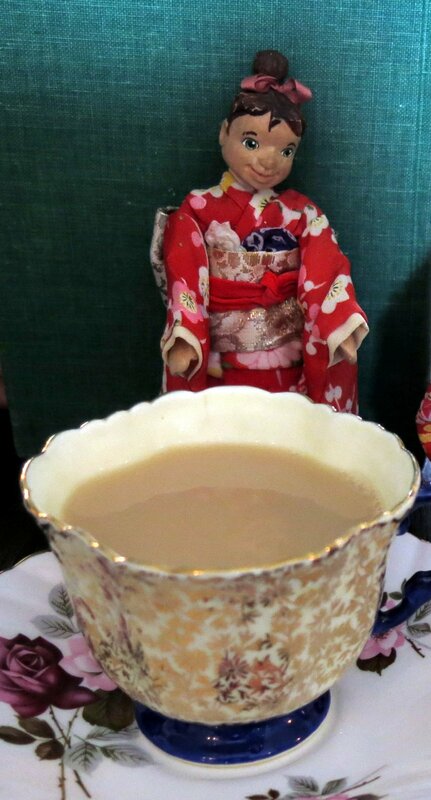 A birthday brunch was the main purpose of the expedition, and the tea was particularly good! 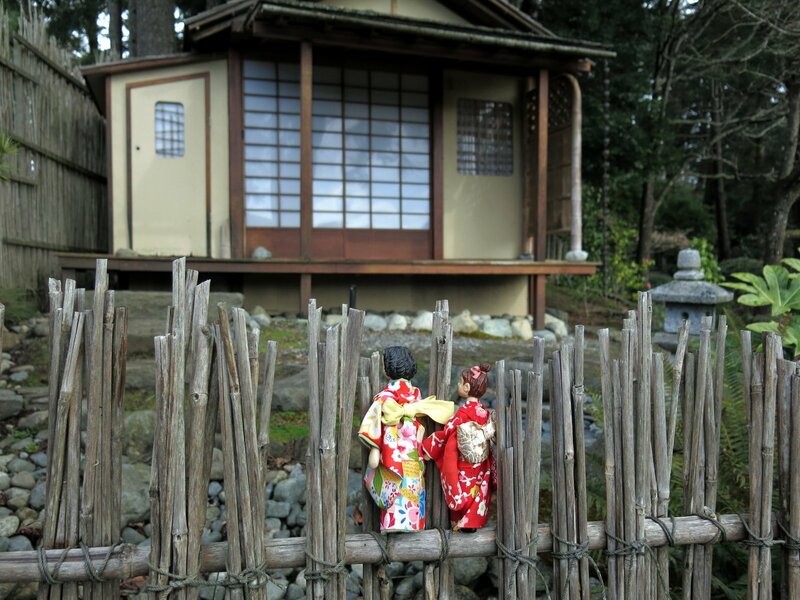 I was glad the girls came along to see what the gardens look like in Spring. So sweet! And Happy Birthday to someone! Thank you, and the recipient of the Birthday wishes thanks you too! She is rather elegant in it, but apparently still feeling like an imp! It was a lovely outing orchestrated by the gourmand middle child of the human family! Just love seeing Min – She does look like a lady in the kimono. brunch with pancakes and hot tea sound so delicious. Min has been hopping about impatiently in the Hitty cupboard, and is glad to get out in the fresh air – and brunch was totally delicious! 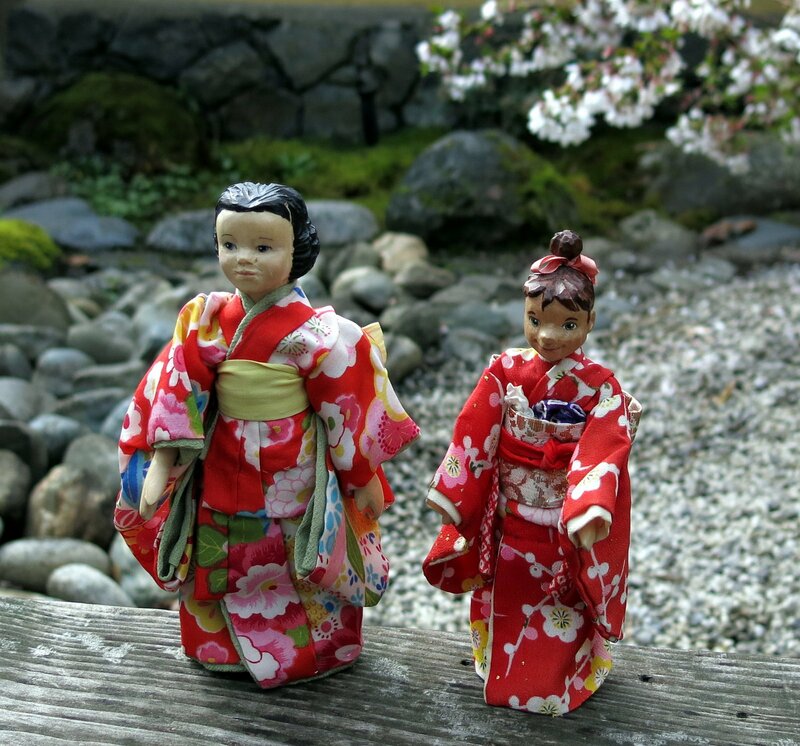 The girls look exquisite in their kimonos. And, what a treat to see blossoms! 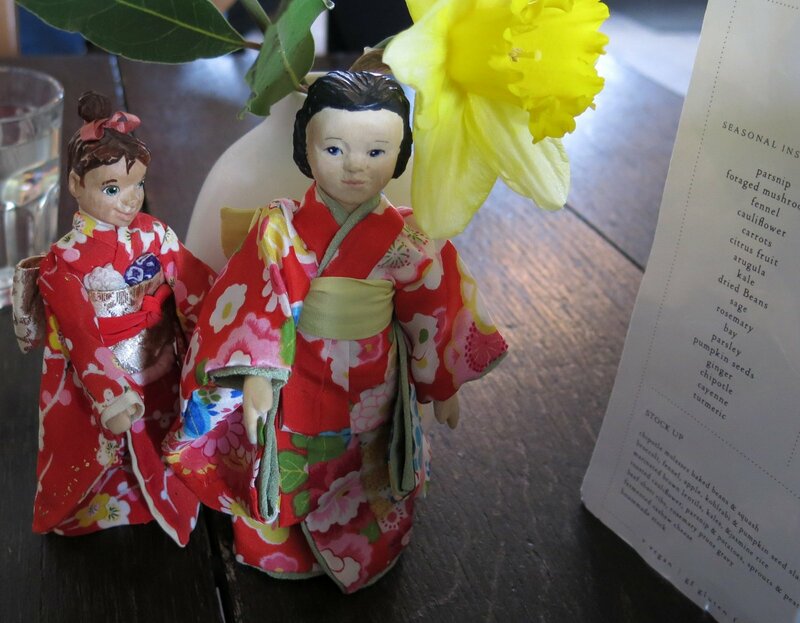 Thank you – the girls are happy to have a good excuse to wear their beautiful Japanese clothing! I hope the blossoms come out in Edmonton soon!